This Shopping Cart Cup Holder at Whole Foods caters to the onsite creature comforts of customers. Take your time, browse, shop at your leisure enjoying your favorite hot or cold beverage. Or keep that baby bottle handy for the little one, if that is your life circumstance. See that the Cup Holder replaces the bumper guard of the alternate cart corner, implying it was purchased as part of the original cart configuration, and not a pure aftermarket add-on. 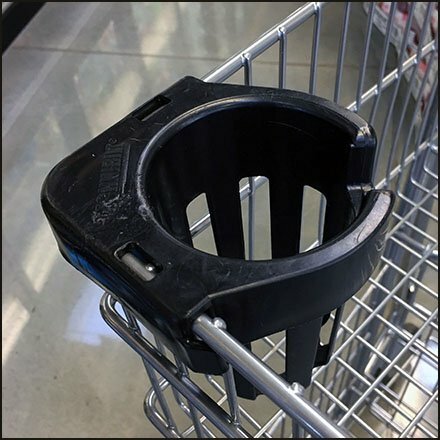 This Shopping Cart Cup Holder at Whole Foods test driven in Allentown PA.